1. Watch YouTube videos – The #1 thing you can do is to keep doing what you are doing. Spend some time every now and then when you are in the mood and just watch different eating videos by all of the eaters that post videos online. We will be able to attract sponsors much more easily if we can show them that a lot of people are watching videos online. Most of our FoodChallenges.com videos will be “How To” videos showing potential eaters what they need to be doing to win challenges and contests (so that you can watch them! ), so we fully understand if you don’t watch all of those. If people are watching, eaters will be much more motivated and inclined to post more videos, and more content available online will lead to more fans and spectators. 2. Follow your favorite eaters online – You are more than welcome to join our community and create your own profile so that you can ‘friend’ and follow your favorite eaters. You can also follow most eaters online through social media like Facebook, Twitter, and Instagram. Many eaters now have Facebook fan pages you can follow. If you have a few favorite eaters, check out their FoodChallenges.com profile where you will be able to find links to all of their social media accounts that you can follow. This is much easier than trying to find each account separately. By following them, you can get photos, videos, and updates about challenges and contests that they have coming up or have already done. Potential sponsors will eventually be checking out the social media of different eaters, and having more followers will obviously be more beneficial for those competitive eaters. 3. Interact with your favorite eaters – If you are following your favorite eaters via social media (excluding their personal Facebook page if the eater has a public fan page), feel free to interact with them. Comment on a few posts every now and then ask any reasonable questions that you have. It definitely should not be a one-sided relationship. More than likely, unless your posts are offensive, eaters will be happy to respond to you. 4. Share your favorite eaters with friends & family – If you enjoy watching somebody, maybe your kids, friends, coworkers, and family might too!! Feel free to share your favorite video(s) with people, and you might just get those people interested in following that person too. The more followers the better!! Whether you share videos and posts with people online or through word of mouth, the particular eater(s) will definitely appreciate it!! 5. Share the website with people who might be interested – You may not be interested in trying a big food challenge or eating contest, but chances are high that you know somebody who is. If you hear somebody talking about trying a food challenge or if you know of any “big eaters,” please let them know about our new website. There are over 100 articles teaching people how to train and strategize for eating competitions, and we even teach how to recover from them too. They can watch videos on our YouTube page and also join the community of course. Most importantly, they can find every single food challenge available around them. We need to start driving more traffic to the website and our social media so that we can really attract bigger sponsors, and your help is greatly appreciated. You are not only helping us, but you are helping the people you refer us too and everyone in the community. Remember, the info is for you too if you ever get courageous and want to try one!! 6. Support the businesses around you with challenges – A BIG thing that the eating community needs to do so that we can really start growing is that eaters and promoters need to work together to promote each other. Eaters, restaurants, and other people are all doing their own thing and nobody is working together, which is exactly why the average prize at eating contests is less than $300. While supporting the eaters, it would be great if you could help support those small businesses around you too. Next time your family is wanting to go out to eat somewhere, check out a restaurant around you that has a food challenge. To find the closest one to you, the best application to use is our Map Search feature. While you are there, check everyone in on Facebook, and you can even order the challenge to eat as a family if you want to. Post pictures of the challenge so that your friends and followers can see. Every little bit helps, so please do what you can for those businesses around you. I have won over 181 food challenges over the past 4 years, and over 60 of those small restaurants and businesses are closed already. We can help decrease the high number of restaurants closing by helping to promote the ones involved with the eating community. This will encourage others to join our community too!! 7. Follow, share, and support local eating contests – This goes along the lines of helping small businesses, but please take a few minutes to share contests and eating events in your area. If you have the time, you may even want to go and attend a few!! You may have a friend or family member interested in competing, but they can’t participate if they don’t know about it. Most of the small businesses hosting eating contests don’t have the money to blast out a lot of promotional material, so they are depending on fans and supporters of the restaurant to help get the word out. Take a few short minutes to share the event with people that might be interested. Restaurants won’t host eating contests if nobody goes or cares. Show that you care and inspire other people to care too. As the number of people following eating competitions grows, so will the number of restaurants wanting to host eating events so that they can join in and help #FeedTheMovement with the rest of us. 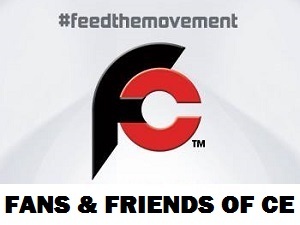 Thanks for reading “How Fans Of Competitive Eating Can #FeedTheMovement” and using our website! !